Speak of Les Misérables, you may think of the 2012 movie where Hugh Jackman and Russell Crowe break into song and chase. For the rest of us who may not want to reveal our age, we can identify with it as the longest running Westend musical and seen by over 70 million audiences around the world. My take is catch the movie first so you can get a better grasp of the plot and story if you want to fully appreciate the musical. We are excited that Les Misérables is returning to Singapore for the third time showing from 31 May 2016 at the Esplanade Theatre. Tickets are already on sale through SISTIC channels from S$58 for Category 6 seats. Category 1 tickets are available at S$228. Performances are at 8pm from Tuesdays to Fridays, 2pm and 8pm on Saturday, 1.30pm and 7pm on Sunday. After a successful run in Manila which we went in March to check out, the majority of the cast from the production there will be performing in Singapore. Watched the Original Production. Now Watch The New Production. If you haven’t seen the new production of Boubil & Schonberg’s Les Misérables, then we highly recommend you not to miss out. And if you have not seen the original production, the only place you can see that is in Westend, London. 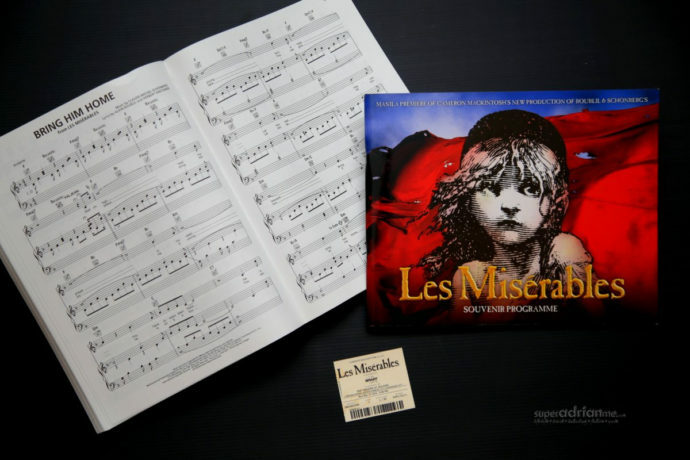 The new production was created over five years ago to celebrate the twenty-fifth anniversary of Les Misérables. It is in its second year in Broadway. Earl Carpenter who plays the role of Javert has aptly described the new production as one with Victor Hugo all around us. Victor Hugo was a painter and there are inspirations of the original throughout the show. The new production may even ben 25 to 30 minutes shorter than the original production. All that said, the music and scenes are still timeless. I enjoyed the new production as much as the original. Established actor and musical theatre star Simon Gleeson (top left of photo above) plays the iconic role of Jean Valjean as prisoner 24601. With his extensive experience in theatre, film and television in Australia and the UK, his portrayal of Jean Valjean has earned him a Helpmann Award for Best Male Actor in a Musical. Gleeson shares his first encounter of Les Misérables in the late 80s when he was only 12 years old. He and his sister were in the balcony watching Les Misérables, his first ever musical. His favourite part of the musical is meeting Corsette as a little guy where he gets to laugh and smile which he does not get to do a lot. Corsette is around the same age as he daughter and the musical reminds him much of her whom he extremely fond of. When compared with Hugh Jackson in the screenplay of the musical, Gleeson is just happy that Les Misérables has become more popular among the younger audience as a result of the movie. Earl Carpenter (top right of photo above) plays the role of Javert, the lifelong antagonist of Valjean. Carpenter just concluded his run as the inspector in Les Misérables in Broadway and has appeared in original and 25th anniversary productions and concert celebrations of Les Misérables, The Phantom of the Opera, The Witches of Eastwick, Sunset Boulevard and Evita. 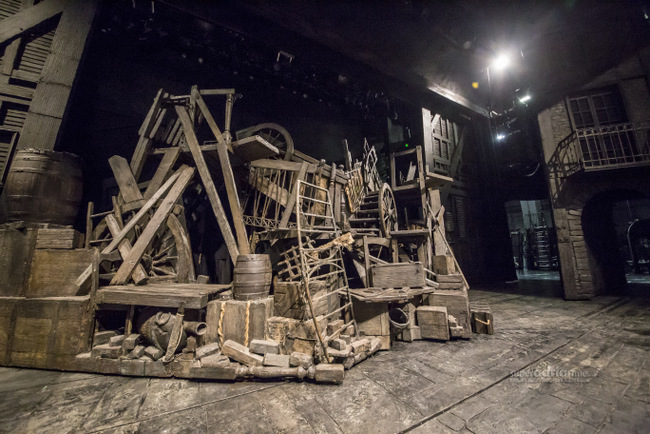 Carpenter shared with us that he gets a lot of time backstage alone just because it is the way his role of Javert is played. He feels that sometimes he is disconnected from the rest, though he says he is nothing like Javert except that they are of the same age. Éponine is performed by Kerrie Anne Greenland. Her sweet beautiful voice is perfect for the role of Éponine. She takes Simon Gleeson as her mentor. Greenland secretly wishes that women could also play the roles of Jean and Javert whom she dreams of performing. On a lighter note, her dad is her biggest fan but she shares “Dad doesn’t want to watch me die anymore.” This is Greenland’s musical theatre debut. Leading the role of Marius (I call him Corsette’s boyfriend) is Paul Wilkins (bottom left of photo above). While Chris Durling (bottom right of photo above) plays the role of Enjolras, the leader of the reform revolution. These two handsome young lads definitely get along well as we see their chemistry during our interview in Manila. Durling has been in this industry for 10 years and want to eventually be able to play the role of Jean Valjean. Playing the role of Fantine is Patrice Tipoki, who was nominated for a Helpmann Award for her portrayal of the role. Tipoki has performed the role of Elphaba in the hit musical Wicked and Nala in Disney’s The Lion King. No wonder her name rings a bell. I had the chance to watch Tipoki perform a few numbers from Wicked during a media call before the show came to Singapore in 2011. She was standing in for Jemma Rix who was on leave and eventually performed the role of Elphaba in the Singapore show. We’ve included a clip of the media call we recorded during the media call so you can have a flavour or Tipoki’s beautiful voice. There is a mixture of new and old technology with automation and sliders on the stage. 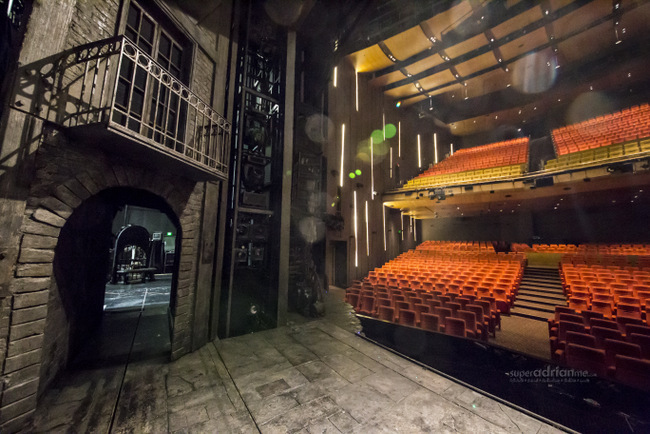 The flooring travels together with the production because speakers as well as smoke machines have been incorporated into the flooring to produce the best effects for the audience. The sound of this production is different from the original production so that there is surround sound. Listen out for the gun shots from the barricades when you watch it. The stage is well contained with props and sets that could not get more real life than they look. Those rats look so real from far but are actually fakes but the rabbits were once alive and used as a prop on the set. There are also a few taxidermy animals in Thérnadier’s Inn during the bar scene. 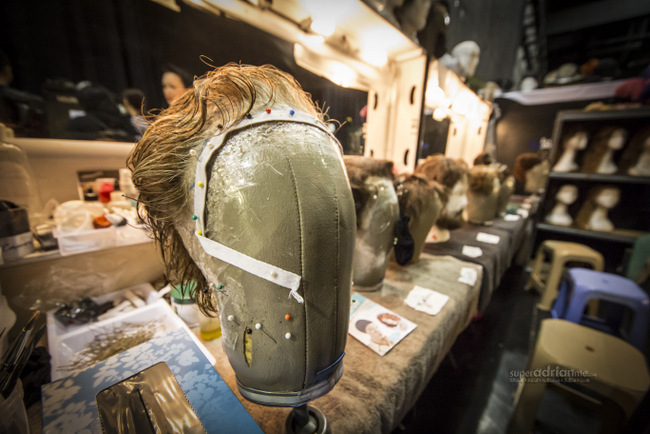 We took a back stage tour of the Manila production and checked out some of the costumes. 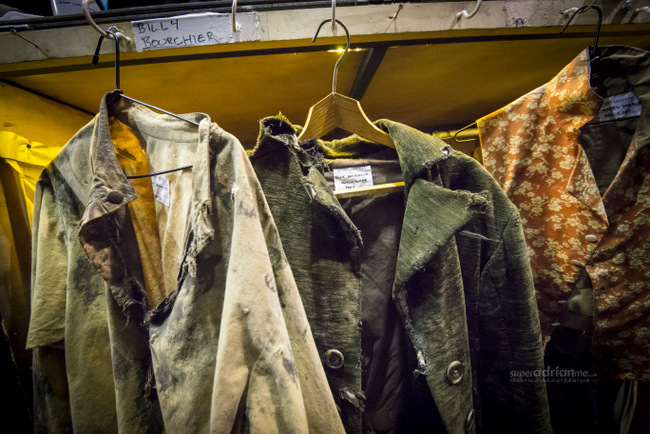 We were told that the costumes are universal in all Les Misérables productions. One look at the costumes, and people should be able to identify whose costumes they belong to. All the costumes are made brand new and then made to look old, worn out and dirty with wired brushes, paint and actual dirt. There are actually job scopes of some of the folks behind the scenes to make sure the costumes look dirty and worn out. There are also makeup powder the girls put on their faces to look like dirt. There is even aging makeup to make the cast look older. On average, each female performer has 40 pieces of costumes. Now that’s a lot of changing in and out during the show. Then there are the wigs and hats. The wigs are made of real hair and the amount of fine handwork put into making these wigs are admirable. They are also constantly cleaned up and maintained regularly. The wigs are washed and set every day as they get touched all the time. The wigs are dried in ovens with temperatures of up to 150 degrees celsius. So these are what makes the hair look so real. 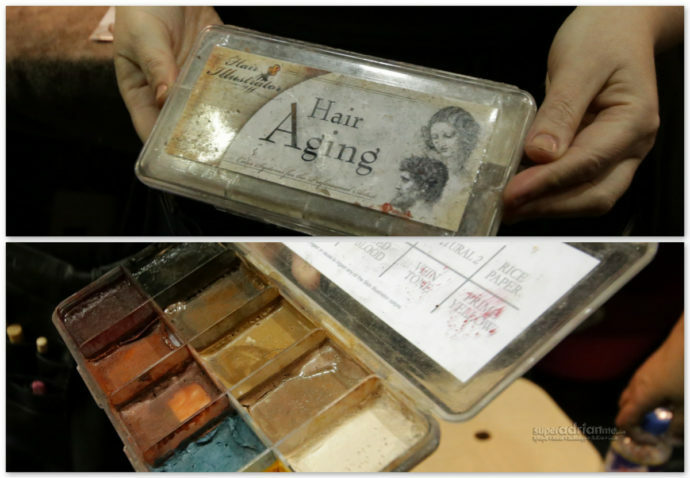 Hair aging paint. The music is timeless and simply beautiful. The girl next to me was singing along throughout the performance in Manila. Heart warming originally to know that she could sing along to every song but it did get irritating after that because I rather listen to the folks on the stage. Some of my favourites include I Dreamed a Dream, At The End of the Day, Bring Him Home, Who Am I, In My Life, One Day More, On My Own …. Yes you guessed it. I am the sentimental sort.